New virtual reality training could help prevent accidents in "safety-critical" industries like the NHS, aviation, the military and nuclear power. University of Exeter scientist Dr Sam Vine, Exeter-based Cineon Productions and experts from the nuclear industry have joined up to create a new training and technology organisation called Cineon Training. Cineon Training is developing immersive, 360-degree training through virtual reality headsets to prevent accidents and improve the performance of workers. It also uses technology such as eye tracking and physiological monitoring to help understand how people learn and why they make errors, particularly when under pressure or stress. The team are holding a one-day workshop on 27 April for trainers and safety experts from the nuclear industry. 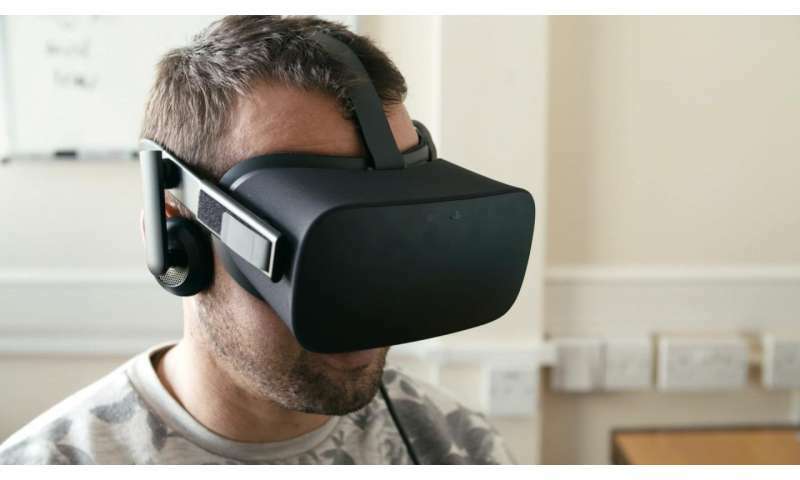 "The technology and methods that we use allow us to simulate stressful, high-risk environments, using mobile head-mounted simulators," said Dr Sam Vine, of the University of Exeter. "Our aim is to use technology, scientific theory and measurement techniques such as eye tracking to train people - in a safe environment - to perform more effectively, and provide feedback to trainers. "We have been doing research into simulated training in surgical, military and aviation settings for the past 10 years. "This work brings these techniques into the 21st Century using immersive head-worn technology. We have the capability to create computer-generated (virtual) or 360-degree filmed replications of dangerous training environments, that trainees can experience through their headsets. "Combined with our understanding of the psychology of learning and performing under pressure, we believe this to be a highly effective way to learn and perfect skills." This phase of the work is funded by a grant from the Economic and Social Research Council awarded to Dr Vine.Kate Sprake, a nuclear safety expert, said: "Offering this training to the nuclear industry is timely, given the forthcoming nuclear power station at Hinkley Point in Somerset. "The development and long-term running of the plant will draw heavily upon the types of skills that we are training. "As well as our existing work with the nuclear industry, we want to work more closely with experts in areas such as aviation, emergency medicine, mining and construction."